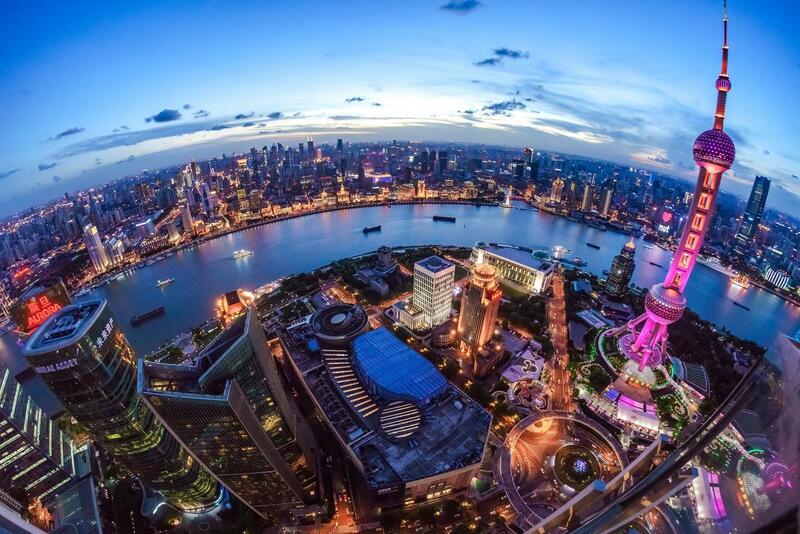 When it comes to mega-cities there is not much that can top Shanghai! 25 million inhabitants. 180,000 expats. The world’s second tallest skyscraper, the 623m / 2,073 ft, 128-story Shanghai Tower with the world’s highest observation deck. Global financial centre. The world’s busiest container port. A fascinating mix of East and West. Tradition and modernity. One of the richest collections of Art Deco buildings in the world. The list goes on and on. No wonder that Shanghai features an impressive collection of luxury hotels, actually the most vibrant luxury hotel scene of any city worldwide. The city’s top hotels include the Ritz-Carlton Shanghai, Pudong with the lobby on the 52nd floor and one of the world’s highest outdoor bars on level 58, the Peninsula located directly on the Bund as well as new arrivals such as Bellagio, Capella and Amanyangyun. The new Middle House hotel, Bulgari and others are already in the starting block. My recommendation would be the Ritz-Carlton in Pudong for views and wow rooms and the Capella for immersing into a begone era in the French Concession district with its tree-shaded avenues and abundance of cafes. Best times to visit are spring and autumn with temperatures hovering between pleasant 18 and 25 degrees C.
When thinking of visiting Cambodia, what comes to mind first is Siem Reap with its ancients sites of Angkor Wat. 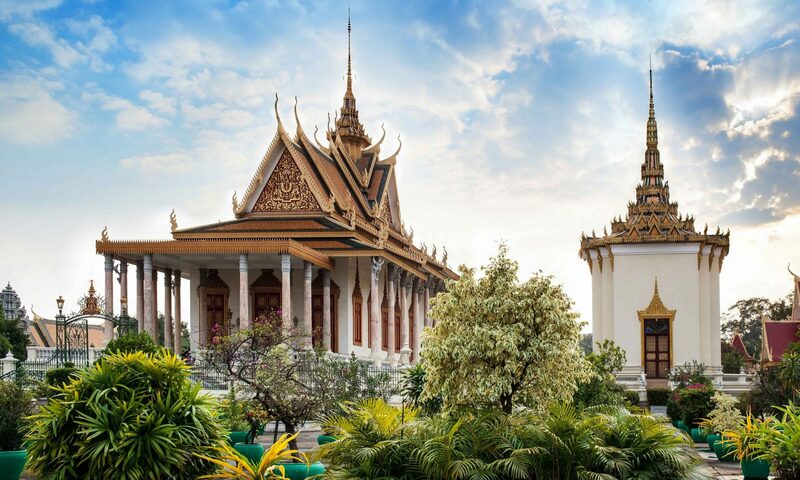 Phnom Penh is the proud and bustling capital of Cambodia, a country that borders on Thailand, Laos and Vietnam. In addition it got a 443 km / 275 miles coastline with the Gulf of Thailand. Phnom Penh’s main attraction is the Mekong river. The Bale Phnom Penh, a just opened contemporary boutique luxury hotel, takes full advantage of this majestic river. The Raffles has been Phnom Penh’s Grande Dame since 1929. Its Elephant Bar is one of the world’s most famous watering holes. Shortly, the Rosewood Phnom Penh will make its debut. The contrast couldn’t be bigger: The new hotel will be towering above the city with trendy design and a 37-floor overhanging bar. So, why not combine Siem Reap and Phnom Penh? We just came back from a 4-day visit to Koh Samui, Thailand’s second largest island which is located in the Gulf of Thailand. Koh Samui’s top luxury resort is the Four Seasons, who had thought this?? Due to its very corporate cookie-cutter structure the new Ritz-Carlton will not rival this status. 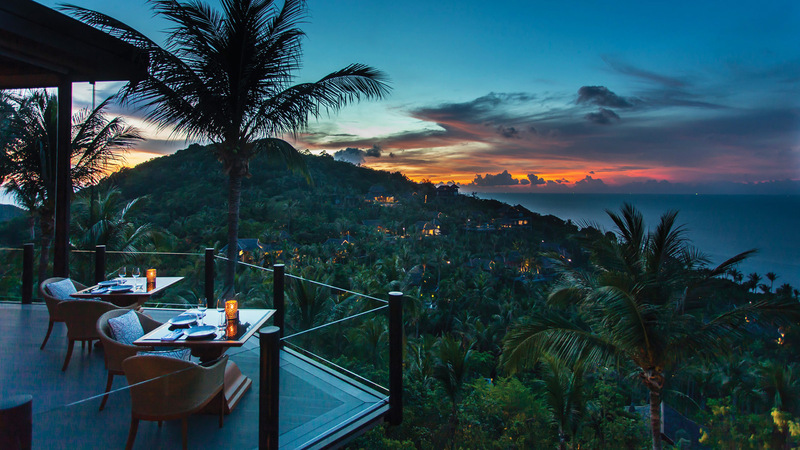 Our highlight was a stay at the Six Senses Samui. 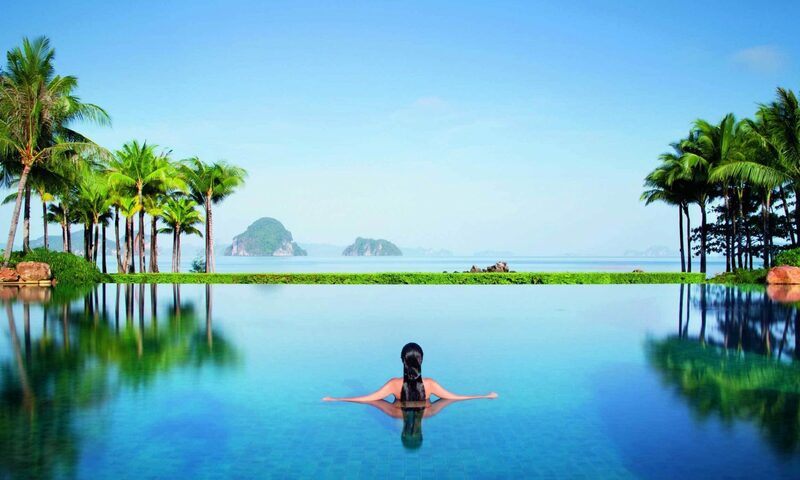 Six Senses stands for laid-back barefoot eco luxury. 100 points, mission accomplished. Among lots of other things we liked that fact that Six Senses had phased out plastic water bottles and provides reusable glass bottles instead. Thumbs up. The Conrad and the Banyan Tree were just as expected. Not much to argue about this kind of all pool villa resort. Outside of TRUE 5 STARS we very much liked the existing as well as the soon to be opened SALA property. 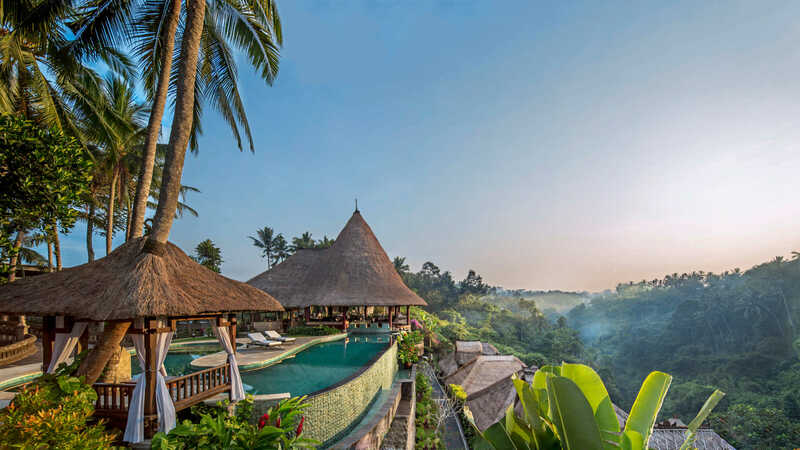 As Six Senses, SALA manages to offer a truly differentiating approach along with a great vibe. Thank you Koh Samui, we shall be back! When you think of Singapore, what comes to mind first? 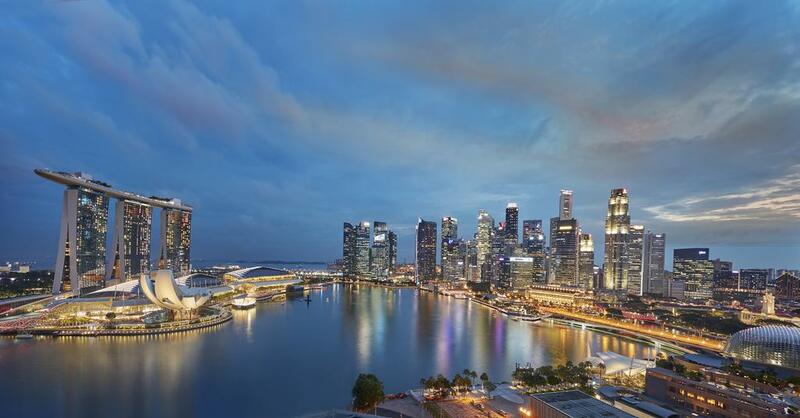 In recent years, Singapore has become – in addition of being one of the premier financial hubs in Asia – a sophisticated entertainment venue. It already starts when arriving at Changi’s posh Terminal 4 which really blew me away. Sleek, clean, comfy, efficient, uncrowded, friendly staff – soooo impressive and so different!!! Have I mentioned that it took me 15 minutes – you won’t believe this – from touchdown to leaving the airport including immigration and baggage collection?? Not to mention that there is never really a traffic jam in Singapore…the communte to the city is only 20 minutes. Singapore is lush and green, beautiful landscaping and greenery everywhere. Driving is very disciplined and cars actually stop for pedestrians. And yes, Singapore is expensive. And very humid all year round. Surprisingly there are not too many hotels that fall into the absolute luxury category and there is no real wow hotel…really? Well, the iconic and legendary Raffles Singapore (Singapore Sling!!) is just undergoing a thorough top to bottom restoration with the grand reopening planned for the second half of 2018. With a population of just about 5.6 million and everything being so clean and organised, Singapore is not your typical Asian city. Despite all the glitzy stuff Singapore has managed to retain some of its colonial old world charm. 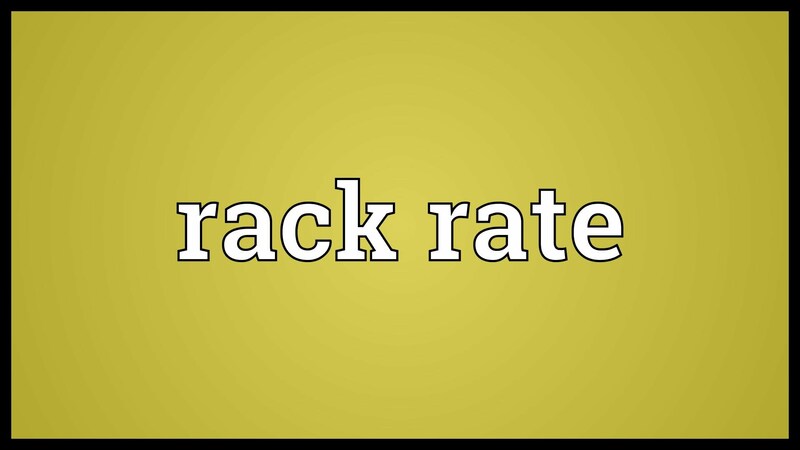 What is a “Rack Rate”? In case you have ever wondered what a so called Rack Rate is in hotel language, here’s your chance to finally find out! A rack rate or published rate, often displayed in the guest room, used to be the hotel’s room only official or standard rate which varied by room category. It served as maximum price from which all other discounted rates were calculated. Typically, actual sales rates represented a more or less large discount. In recent years, the term rack rate has gone out of fashion. Nowadays it is called Best Available Rate, Best Flexible Rate or Regular Rate. Sound familiar? At the end of the day all that matters is the overall offer to the consumer with the components rate, tax and service charge, any extra perks and benefits as well as cancellation and payment conditions. Enjoy safe travels with whatever rate! Butler Service – myth or added value? Have you ever stayed at a hotel that offers real butler service? Did you view the service as beneficial? Did it enhance your stay? Did it make a difference? Here’s a brief look behind the scenes. Butler service is a very personalized service that goes the extra mile by identifying and anticipating guests’ needs almost before they do. In a hotel or on a cruise ship butler service provides the guest with a single point of contact that fulfills every little request discreetly and ideally with a smile. According to the International Institute of Modern Butlers, butler service can be offered in private estates, resorts and hotels, private yachts and jets, cruise ships and commercial airlines, hospitals, upscale retirement homes, as well as the consumer-service side of businesses. What qualities are expected from a butler? Fast thinking, caring about people, taking the time to get to know the guest’s needs, making them feel comfortable, dedicated to giving personalized service to guests, extremely polite and articulate and an unsurpassed attention to detail. How do luxury hotel brands perceive butler service? For the St. Regis brand for example, butler service has been a hallmark since 1904 and is – as the St. Regis signature service – an integral part of the St. Regis experience providing an additional level of service. 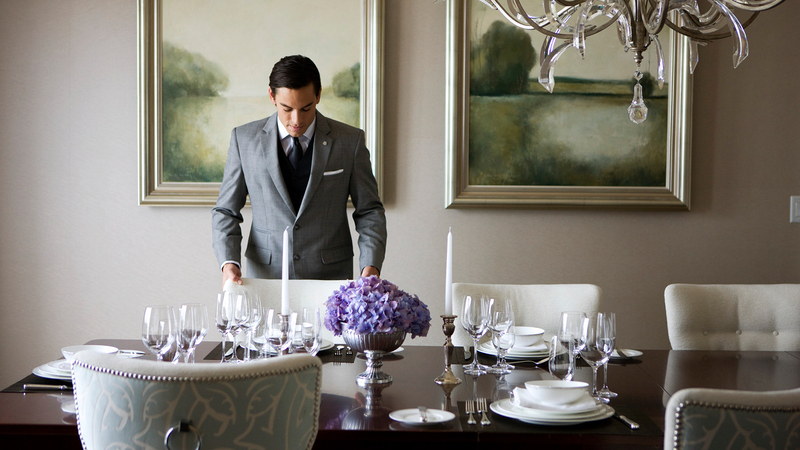 The St. Regis brand is one of the very few hotel brands out there that has a real differentiating feature – butler service. What are examples of butler service in a hotel? Welcoming guest upon arrival. Serving welcome drink. Checking-in formalities. Providing guest with all information regarding hotel facilities and the stay. Unpacking and packing guest’s luggage. Liaising with different hotel departments such as housekeeping. Shoe shine. Clothes pressing. Collecting and returning laundry. Making reservations. Arranging transportation. Concierge services. Listening. Among other things. What are the challenges in today’s world? The basic challenge is to combine old school hands-on technics with an innovative approach. No re-inventing the wheel here but adjusting to modern technologies and ever involving guest demand patterns. Another huge challenge is the sharply rising demand for qualified butlers from a spate of new luxury hotel openings predominantly in Asia with China leading the pack by a considerable margin. Is butler service not just a repacking hotel services of standard? In many hotels yes, however, if done right there is a clear distinction between standard service and butler service whereby butler service does add value to a hotel’s offering. Butler service can and should exceed the hotel’s standard service offering. One major distinction is that the butler is proactive and anticipative so that the guest does not need to bother taking care of anything himself. The service offering typically includes anything without any extra charge with a dedicated butler standing by and serving as the guest’s single point of contact. Is butler service not just a justification for charging higher rates? Butler service executed well does justify to charge a premium. In addition, it can lead to a higher percentage of return guests and higher occupancy. Which hotels should definitely offer butler service? It all depends on the hotel’s value proposal and desired positioning in the marketplace. Generally speaking, the upper end of the true 5-star spectrum should definitely offer butler service across all guest room categories. Various hotels offer this service just for certain suite categories or for their suite product altogether and not for ordinary room categories. How does one become a butler? Numerous private butler schools exist today, such as The British Butler Institute, and top graduates can start at USD 50,000 – 60,000. Additionally, major luxury hotel brands offer traditional butler training while some hotels have trained a sort of pseudo-butler for service in defined areas such as “technology butlers” who fix guests’ computers and other electronic devices, and “bath butlers” who draw custom baths. Butlers have traditionally been male, and this remains the norm although more and more women are employed. Top butlers in private households can make as much as USD 150,000 per annum. Butler is a prestigious profession in exclusive locations with reputable employers. Enjoy great butler service wherever you might find it! 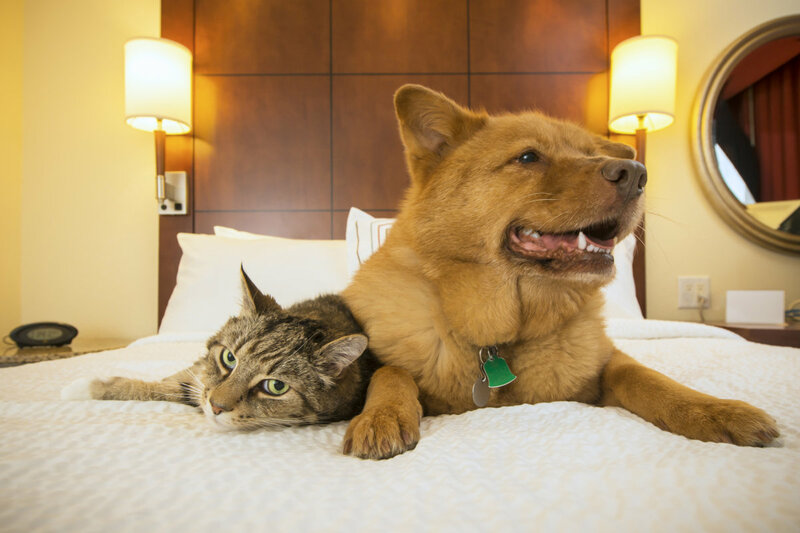 What makes a true 5-star hotel pet-friendly? Your four-legged furry friend is part of the family, you go everywhere together, so why should your upcoming vacation be any different? 1. Do airlines like to transport pets in the cabin? Check with the airline about their pet policy. Not too many airlines are pet-friendly. In case you travel on your own private jet, 1. does not apply. 2. Do the best hotels generally have a pet-friendly attitude? No! Instead the vast majority of true luxury hotels has a “pets – no thanks” policy. 3. Which hotel types accept pets? Typically more city than beach hotels accept pets. 4. What is a pet in this context? A pet in this context can be a dog and in many cases a cat as well. Not sure about other four-legged companions though…. 5. Are there any weight restrictions? Yes, there are! Typically your friend should not exceed 11 kilos / 25 pounds. However, in some hotels dogs of all sizes are welcome. 6. How many pets are allowed per room? Typically just one but it all depends for example on the room type. 7. Are there any room type restrictions for pets? Yes, there could be. In some hotels pets are only welcome to stay at the villas or bungalows and not in ordinary rooms or suites. 8. Are pets free to roam the property? Haha, of course not. They are confined to the guest room. When there is a need to go for a walk they must be leashed in the hotel at all times. The walk itself, of course, has to take place outside of the hotel premises. 9. Do pets stay for free like babies or children up to certain ages? Some hotels let your friend stay free of charge but they might incur a one-time cleaning fee which can be as high as USD 100. In most cases however, luxury hotels do charge a daily fee which is typically about USD 25 – 60 but can occasionally be up to USD 100. 10. What kind of treats or even luxuries are offered to make and keep our friends happy? Actually hotels are quite creative when it comes to providing your best friend with a truly memorable experience…..welcome basket with treats and toys, “pet sleeping” card, deluxe bedding, comfy duvet, turndown treat, dog jumper, meal options, mineral water, in-room massage – grooming – pedicure, sitting and walking by hotel staff, outdoor play areas, pet birthday celebrations, in-room photo shoot with a pet photographer, taxi service to a pet spa and even a three-course meal prepared by a Michelin-starred chef! 1. Check the hotel’s pet policy because every hotel has different rules. 2. Contact the hotel ahead of making a reservation to make sure everyone is on the same page. 3. In case you are granted a “special treatment” with respect to your pet(s) make sure you got this in writing, email will do. Any pet-related hotel experience you would like to share? Happy vacation with the entire family! TRUE 5 STARS (T5S) features the world’s top 1,550 branded and unbranded hotels. As the only platform that focusses on true luxury hotels T5S is 100% independent of the hotels since it charges and receives no listing fees. As a result, T5S‘s hotel selection is the only one 100% unbiased featuring the entire luxury sector and as such is ideally suited for an analysis that compares the same with the same and not apples and oranges. Included in the analysis are 1,078 branded hotels within 156 luxury hotel brands. Hotel brands comprise 1 to 96 hotels. Featuring only one hotel means that the brand typically comprises more than just one hotel, however, their standard is not sufficiently high to be listed on T5S. One of the major challenges for hotel brands is to keep the standard consistent across the entire portfolio. Therefore T5S lists only the hotels that match or exceed the desired standard regardless of chain or marketing affiliation. Only very few brands manage to deliver a consistently high quality throughout their entire hotel portfolio. The study is based on 1,074,265 verified guest reviews or more than 996 per hotel aggregated from a variety of different sources, provided by TrustYou, the inventor and world market leader of “meta” guest reviews. While the branded hotels average about 123 bedrooms, branded and unbranded properties feature a combined average of 100 rooms. The average starting room rate is 567 USD for the branded vs. 591 USD for branded and unbranded hotels combined. The average score over all 1,377 hotels with a TrustYou score is 91.94%. The average score of all branded hotels is at 91.76% only slightly lower. The 156 hotel brands scored between 86.0% and 98.0%. The top scoring 42 brands are smaller local brands with up to 6 hotels listed on T5S while the 28 lowest performing brands are also smaller local hotel groups with up to 4 hotels. The best performers are The Huka Retreats (98.0), Tintswalo Lodges (97.0) and Inkaterra (96.7). Ritz-Carlton Reserve (95.0), Como (94.3), Sofitel Legend (94.2), Regent (94.0), Capella (93.6), Peninsula (93.5), Andaz (93.5), GHM (93.3), Langham (93.2), Six Senses (93.1), Belmond (93.0), Oetker (93.0), Oberoi (92.8), Dorchester (92.5), Rosewood (92.5), Four Seasons (92.5), JW Marriott (92.4), St. Regis (92.3), Shangri-La (92.2), Mandarin Oriental (92.1), Raffles (91.9), Banyan Tree (91.8), One&Only (91.8), Rocco Forte (91.7), Waldorf Astoria (91.7), Conrad (91.6), Park Hyatt (91.6), Taj (91.5), Sofitel (91.3), InterContinental (91.3), Luxury Collection (91.3), Ritz-Carlton (91.2), Fairmont (91.0), Royal Meridien (91.0), Gran Melia (91.0), Okura (91.0), Jumeirah (91.0), Wilderness Safaris (91.0), Anantara (90.9), Aman (90.4), Westin (90.2), Kempinski (90.2), So Sofitel (90.0), W (89.6), Alila (88.7), andBeyond (87.0). Inkaterra (96.7), The Royal Portfolio (96.0), Lungarno Collection (95.5), 137 Pillars (95.0), Swire (94.7), Lotte (94.0), Cheval Blanc (93.8), Virgin Limited Edition (93.5), La Reserve (93.5), Constance (93.0), Bulgari (92.7), Fasano (92.5), Tschuggen (92.3), Armani (92.0), Maybourne (92.0), Explora (91.7), Monte-Carlo SBM (91.3), Beachcomber (91.0), Sacher (91.0), Soneva (90.3), Per Aquum (90.3), Hotel Barriere (89.7), Victoria-Jungfrau Collection (88.8), Elounda (87.5), Versace (87.5), Resplendent Ceylon (87.5). I. All rating scores are within a relatively narrow range of 12% (86% – 98%). Conclusion: All the hotels are of relatively high quality or the methodology to ascertain the rating scores is not detailed and/or differentiating enough. II. Most of the larger well-known brands scored within a very narrow range of just about 3% (90% – 93%). Conclusion: Brands are apparently very similar in their product and service offering and not really differentiating for the guest. As a matter of fact, their quality assurance audits are in most cases executed by the same provider. III. The average rating score of 91.76% is about 5% higher than the 87% worldwide average score of the expert reviews of a very large quality assurance provider and about 18% higher than my own quality assurance findings. Conclusion: Whose findings reflect reality (more)? IV. While guest review scores are post-stay results of spotty and random reflections aggregated from many (verified) guest expectations – derived pre-stay from images, descriptions, guest reviews and price – expert reviews are more or less comprehensive compilations based on a 2-3 day on-site audit executed by a hotel expert. Relative vs absolute approach. Conclusion: Are guest review results and expert review findings comparable? Are they complimentary? did you know that last year Bangkok counted more international visitors (who stayed at least for a night) than any other city in the world??? 21.47 million to be exact, leaving reputable contenders such as London, Paris, Dubai, New York behind. So what is it that attracts people in droves to Bangkok? Let me try to elaborate and I guess I am kind of qualified since I have been living here for almost a year now, at first very central in Sathorn before I later moved to the fringes of this megacity. Absolutely. Compare it to other top cities in Asia such as Shanghai, Hong Kong, Singapore and Seoul….you got the message. Bangkok is great value for money! 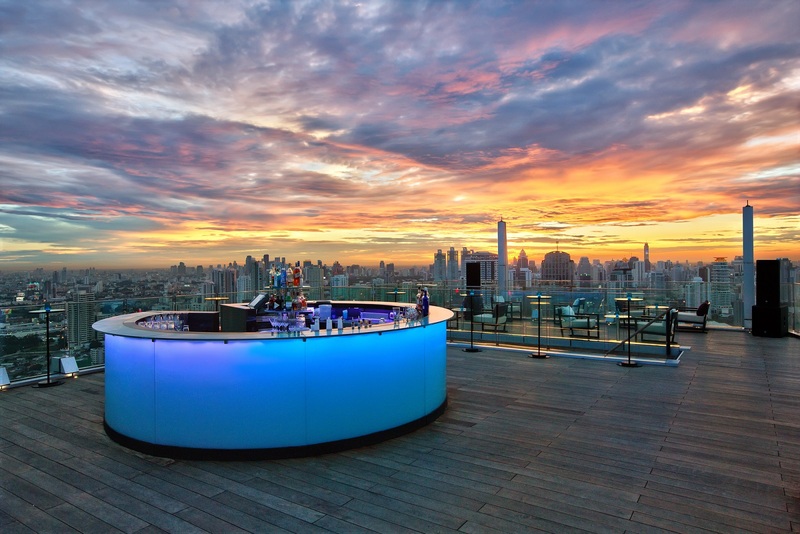 Bangkok offers anything including some of the best hotels and restaurants on the planet and yet you don’t need to be deep-pocketed to enjoy life to the fullest here. Bangkok is the world’s street food capital and at the same token it got some top gourmet temples such as Gaggan which was voted the 7th best restaurant in the world. Bangkok is the world’s rooftop capital! Afraid of heights? Stay on the ground then. 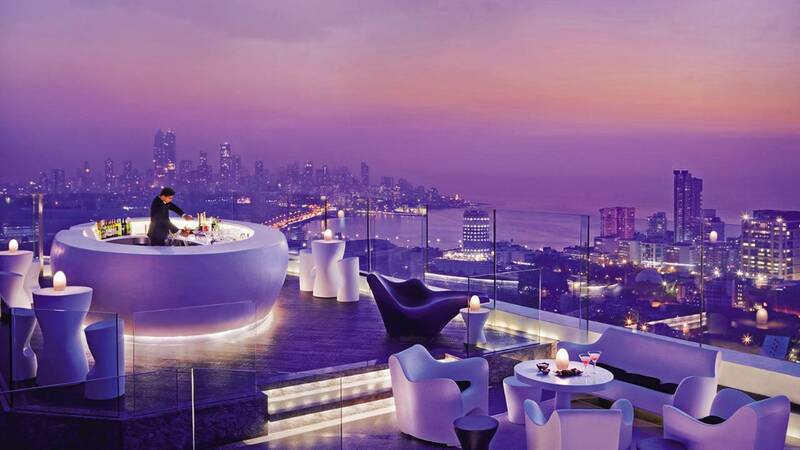 There is, however, a lot to be missed given 25 and counting cool rooftop bars from level 12 to 63 boasting the most spectacular views from very different angels! Well, honestly, the sun shines here every day and when it rains it feels great. The bottom line is, the weather here is super reliable, hot and muggy. Too hot for me sometimes….and no, there is no winter here. You did not bring your pet to Bangkok? Well, no need, we got plenty! Cats and dogs live in the streets and are very friendly and really lovely. The get fed by many caring Thais so they are part of the community. Bravo! Bangkok got some not so shabby places to stay! You might have guessed it already, I am a hotel aficionado so Bangkok is a great place to be. Apart from the famous Mandarin Oriental, Bangkok which as The Oriental was awarded the world’s best hotel countless times, there is lots of other great places to stay and if this wasn’t enough there is a huge pipeline of new openings loomimg on the horizon. Honestly, I am not a huge temple and museum person but I do know Bangkok got lots! Temples are home to friendly monks and provide shelter to homeless animals. Temples are open to anyone. Very peaceful. Bangkok has an excellent strategic location within Asia and really lends itself as base from where to start and end your journey within Thailand or around Asia. Bangkok got Thai people, mostly! The Thais are super friendly and peaceful, always there to help despite very limited knowledge of English (my Thai is worse…) and if nothing helps they are masters of improvisation. Bangkok is great to visit and to live!